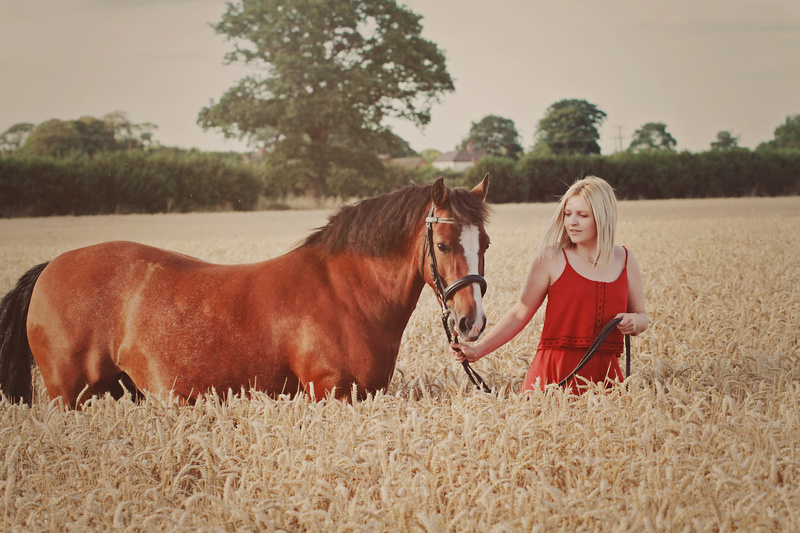 As an equestrian myself, I am fully aware of how special the bond is between horse and owner. I rode my own horse to my wedding (yes i'm really that mad) because she is such an important part of my life, I wanted her involved in the day. Yes, people told me i was crazy, yes, people told me it couldn't be done, and some even said it would end in tears but I did it anyway and I have some of the most spectacular wedding photos which i will treasure forever. She is my horse of a lifetime and now as she enters her twilight years and retirement, I will never forget her, or the things we achieved together, and most importantly, I have these wonderful images to look back on throughout my life to always remember how special she was. Whether it is your child rapidly outgrowing a much loved pony, your geriatric happy hacker or your 4* competition horse who gave you the world, our equine friends come in all shapes and sizes and I aim to capture not only your friendship but also their character during your session. Taken at your yard or a location to suit I like to capture images of the two of your interacting naturally together rather than having just set posed shots. You can have ridden, inhand or a combination of both. You can be dressed all fancy or you can be knee deep in mud with hay in your hair, I really don't mind. Whatever says 'this is so us' tend to have the best reaction. Your session will last 1-1.5 hours depending on your requirements for the shoot and you can change outfits as many times as you wish during that time frame. Following your session your images will be individually edited and uploaded to a private viewing gallery and I will ask you to choose your favourite image as your complimentary 12" x 8" print. I will also upload a selection of watermarked images to my facebook page for you to share on your social media sites. You are then able to purchase further images / artwork from the website. I am based in Staffordshire and my standard session fee is £75.00 and includes travel within 25 miles of Stafford. I am more than happy to travel further afield at a cost of 40p per mile. On a final note, I wonder how many of us think, oh yes, I'd love to have some photo's with my horse, but then we get a little side tracked and life gets in the way. We put it off thinking 'well maybe we could do it next spring' or 'I could wait until I've moved yards or 'I could do with putting the money towards a new turnout rug (he's only got 17 already)' . Sadly, sometimes, life has other ideas, and through accident or illness our fragile friends can be taken away in the blink of an eye. Don't let your lasting memories of your special bond be some fuzzy mobile phone pictures? Instead, book a photo session and have beautiful artwork displaying your friendship proudly hanging in your home as a talking point and permanent reminder of your bond.